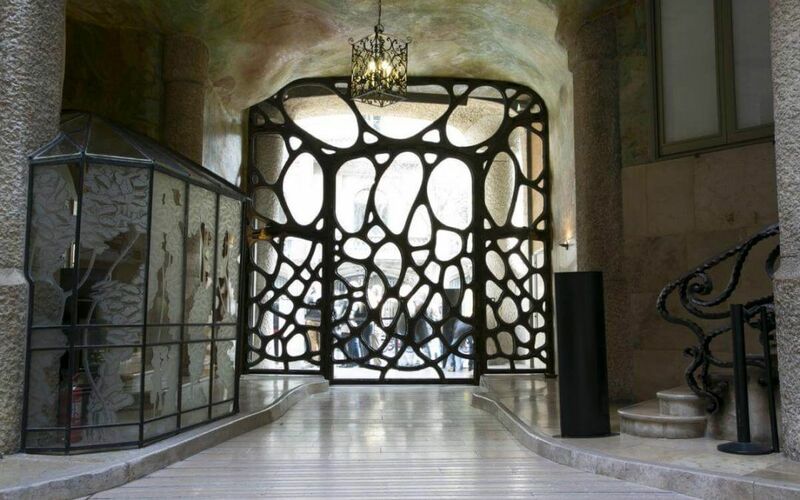 Welcome to Casa Mila in Barcelona, one of the most famous Gaudi buildings in Barcelona. Be ready to discover the secrets left by Gaudi in La Pedrera. What new could be say about this building? This is almost as famous as the other Gaudi’s hit parade, The Sagrada Familia, and every year over a million souls visit it. Barcelonina&Co will give some clues in order to make help you to have the most of your visit. The building’s name is Casa Milà. M. Peter Milà and Mme Rosari Segimón were a bourgeois married couple. They were rich thanks to their manufactures and in 1906 they hired Gaudi to build their home (and business). It is located in the 92 of the Passeig de Gracia. In spite of all the difficulties, the construction ended in 1912. The city council imposed several fines because the structures were beyond the architectural rules of the city council. Even Gaudi had some arguments with the Milà’s regarding the construction style. At the moment, nobody could imagine it will become one of the most famous Gaudi buildings in Barcelona. Casa Mila in Barcelona has been studied and described by hundreds of specialist, but it is very difficult to catalog the building. It goes beyond the Modernism. Without a doubt we are in front of an organic project where the nature, an exuberant and barroc nature has the main role. Its curved front is the first element catching your eye but the big surprises are inside with its two central patio, its apartments, its attic and the terrace, being like a dreamed landscape with an army of warriors. In Catalan, Pedrera is used to describe the place where the stone is extracted. A quarry the citizens created this nickname to describe the fronts of the buildings, where a huge amount of stone was used in spite of not being a weight bearing walls. This is the reason why it looks heavy and light at the same time. 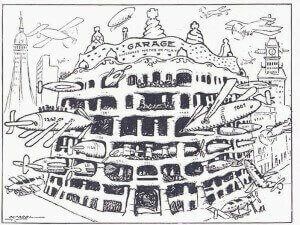 Back then, the building was very polemic and it was the target of plenty of jokes (pile of stone, the result of an earthquake, Eastern cake) all kind of names were given by the journalist and the citizens. Afterwards, it began to be appreciated and the Casa Mila in Barcelona was classed as a World Heritage by the Unesco in 1984. Its hard to believe, but is like any other building with common people inside. It still is. And today, one of the apartments is open to be visited. During the Spanish Civil War, it was the home of the Departent of Economy of the Catalan Government. Its apartments have been the home of a hostel, a meublé, a tailor, a market and even a bingo club. During the restoration of 1996, a shelter from the Civil War was found in the basement. Among the different options allowing to discover the Pedrera, we like the evening one with projections and special lights. 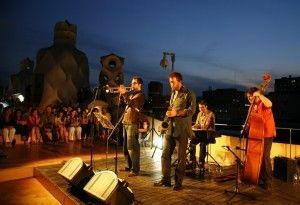 A music has been created for the event and you will end the visit with a glass of cava drinking a toast for Gaudi and creativity. Barcelonina&Co waits for you. Cheers and bottoms up! I’m sure you will have a great time discovering the Casa Mila in Barcelona!